Pru's life in England is coming full circle. 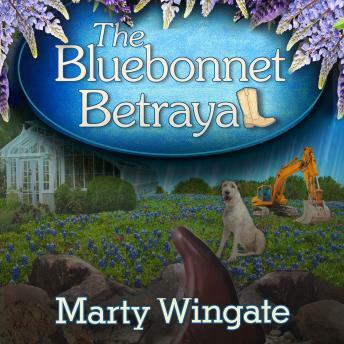 A Texas transplant, she's married to the love of her life, thriving in the plum gardening position she shares with her long-lost brother, and prepping a Chelsea Flower Show exhibit featuring the beloved bluebonnets of the Texas hill country. Technically, Twyla Woodford, the president of a gardening club in the Lone Star State, is in charge of the London event, but Pru seems to be the one getting her hands dirty. When they finally do meet, Pru senses a kindred spirit-until Twyla turns up dead. Although Twyla's body was half buried under a wall in their display, Pru remains determined to mount a spectacular show. Twyla would have insisted. So Pru recruits her husband, former Detective Chief Inspector Christopher Pearse, to go undercover and do a bit of unofficial digging into Twyla's final hours. If Pru has anything to say about it, this killer is going to learn the hard way not to mess with Texas.